Mei Yun is from the Pioneer Generation. But she always declines, if you try to coax her, to visit a doctor for her swollen feet. Forget then, any attempt to introduce the complicated healthcare benefits for the Pioneer Generation to her. In the past two years, she has stayed clear off the Queenstown polyclinic, minutes away from where she lives. “I do not want to see the doctor. No… No… they might cut off my feet because I am diabetic. I use Chinese herbs, can already,” she said. 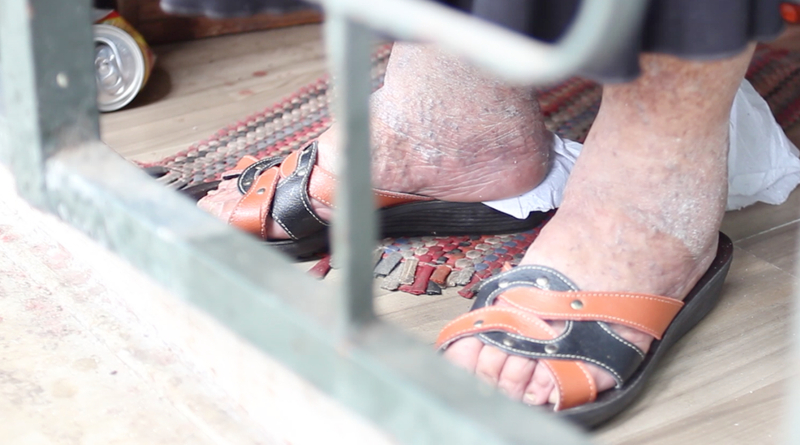 It is elderly people like Mei Yun the large-scale blitz by the government is aimed at. How are they going to reach the Mei Yuns who will not patronise the modern-day medical clinics? Worse, they may be the ones who need medical attention the most. There are currently 450,000 elderly people who are eligible for the Pioneer Generation Package. One thousand front-line staff in public hospitals and polyclinics are now undergoing training to help get this message across to the elderly. The idea is to assure them that their medical needs will be taken care of. The team will hit the ground running in September. But people like Mei Yun are not interested in modern medical care. At 67, she lives in a one-room rental flat, shared with her younger sister. Each has only a few hundred dollars to their names, after more than half a century in Singapore. Her concern is not about medical bills, but the ability to work till death. She said as a seamstress in Singapore, you barely make ends meet. She obviously cannot afford to be hospitalised, or worse, of “losing my feet”. Mei Yun is also not the sort who takes part in community activities. The Queenstown community centre is only a five-minute walk from her home, but she shakes her head in disinterest. She spends her days with her sister, interrupted only by the occasional ‘hi and bye’ greetings from her regular customers. Yet there are hundreds of elderly people like Mei Yun. A survey conducted by National University of Singapore last February showed that nearly 20 per cent of elderly Singaporeans live in isolation. The Methodist Welfare Services cited the figure to be around 100,000 elderly people, who are currently living in isolation. As the ageing population in Singapore triples to 900,000 in 2030, the number of socially isolated elderly people would likely increase three-fold. It is easy to reach the elderly people who go for morning walks, who seek out these organisations and believe in modern medical care. But what about those who do not?